BR Architecture designs and secures Planning Approval for 12 x New Build Luxury Apartments for Madoc Developments Ltd. in Rhos on Sea. Prince Madoc Cove is to be transformed into the home of 12 luxury new build apartments, ideally located in Rhos on Sea on the North Wales cost. 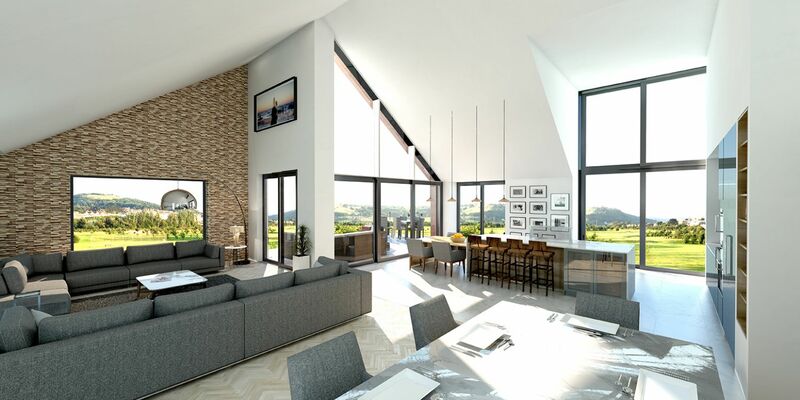 The picturesque location will provide the owners of these luxurious apartments with spectacular views of both the North Wales coastline and Rhos on Sea Golf Course. These apartments have already begun to spark intrigue due to their unique location and grand design. Prince Madoc Cove is nestled in the seaside resort of Rhos on Sea, between the two larger towns of Colwyn Bay and Llandudno. The stunning view of the harbour and long stretch of beach makes this a consistently popular location for tourists and homeowners alike. Your are truly spoiled for choice when seeking out entertainment, activities, and places to eat, as the North Wales coast is famous for being rich in things to see and do. Llandudno is a world famous Victorian seaside resort town in the Conwy County. Rich with boutique and grand hotels, this town never ceases to be a popular holiday destination throughout the year. With the Great Orme and Victorian Promenade at your disposal, you can enjoy activities such as hiking, skiing, crazy golf, and tobogganing. You can also visit interesting places such as Conwy; a medieval town home to the impressive Conwy Castle and Fortress walls, that take you on a tour of the towns outskirts and provides you with views of the town from a unique perspective. BR Architecture and Madoc Developments has been given this amazing opportunity to begin the design and construction of these beautiful luxury new build apartments. Over the years, the Madoc Developments team has developed their own individual methodology and unique approach to working. Their ability to consistently deliver the highest standards ensures that these new build apartments will be nothing short of perfection. Keep a close eye on the development of these apartments to ensure you do not miss the opportunity to live in pure luxury.